Latest illustration for this week. 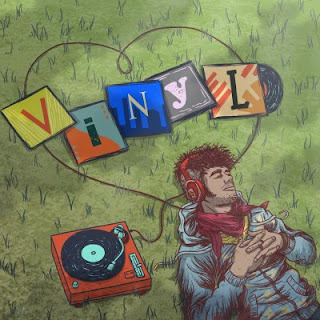 Personally, my experience of listening to vinyl is from my childhood with my parents' records which consisted of the Beatles and... Peter Paul and Mary. ...and then lots and lots of John Denver. I think I had a particularly different take on vinyl from most others. Lots ...of folk music. Anyway, enjoy! Japan trip update: This past weekend, the boyfriend and I visited Tateyama which is the city next to Chikura where I'm staying. 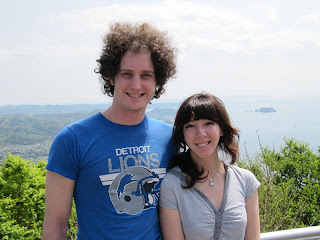 We climbed the mountain (Mt. 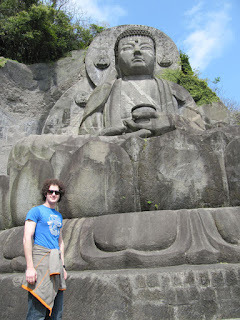 Tateyama) which has numerous statues for buddhism. 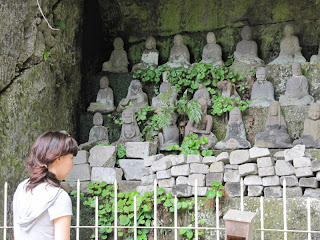 But back in the early Meiji period, there was a massive anti-buddhist movement so many of the statues were beheaded. Over time, they've been reconstructed but a lot are still missing. There's a strange mix between modern and ancient Japan that people seem pretty down-to-earth about. 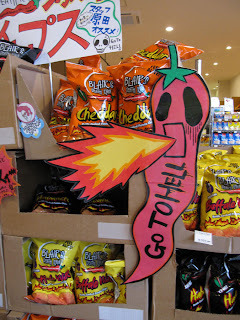 Needless to say, I'm not sure if they knew what this snack sign translates to. If they did, I wish all snacks were advertised this way. nice piece! the design is great and japan looks so cool!